When you plan for an event you need to make sure that all your plans are executed accurately; otherwise, unprecedented circumstances can arise and cause for the failure of your said plans. Therefore, it is important to have a guide that you can refer to from time to time. Doing this will ensure that you are moving on the right path based on what you have already planned out. In return, this can help you achieve the objective or goal you were aiming for. In relation to this, a program can either be a brief, usually printed outline of the order to be followed in an event or public performance, or a plan or system under which action may be taken toward a goal or a series of coded software instructions to control the operation of a computer or other machine. In this article, you will learn about all its first definition. This will help you better execute your plans and manage its execution. 1. Pertinent information about the event: A program is not only intended for your perusal, it will also serve as a guide and participants alike with regards to the flow of the event. This means that you need to provide pertinent information about the event such as the name of event, date, time, and location or venue. 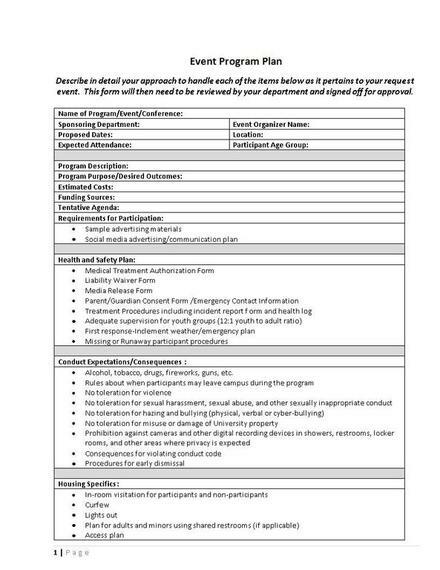 Make sure that these information are immediately visible on the program. Should there be last-minute changes to the event, say a change in venue, it must be officially announced and guests should know in advance. 2. 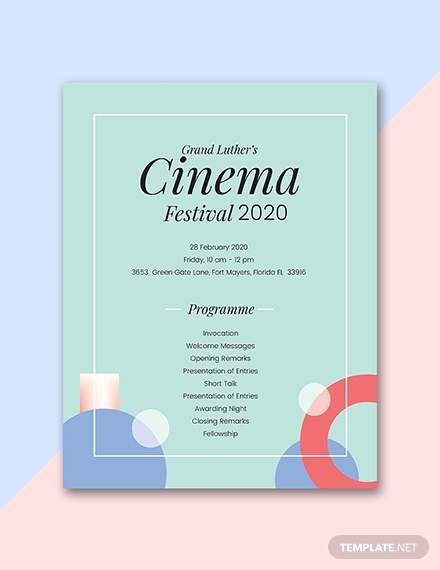 Program design and layout: Although its important components are the details pertaining the event, there should still be an aesthetically pleasing design and layout for the program. 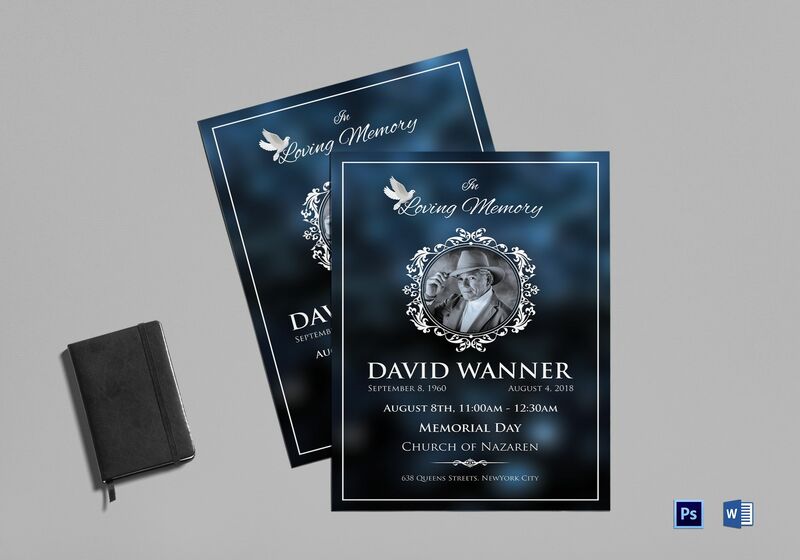 It is best to use a design that best relates to what the event is. 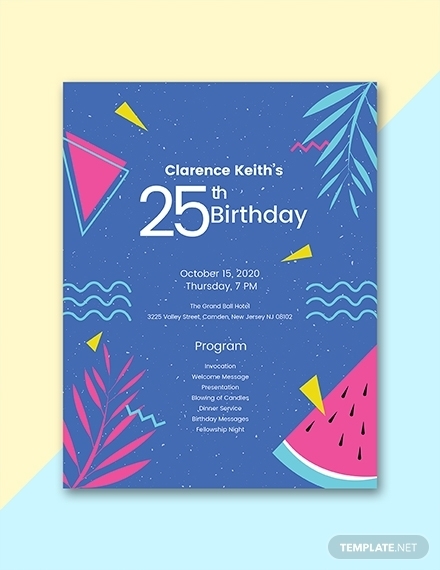 For example, during a summer-themed event, the design should immediately convey to the reader that the event will exude nothing but good, summer vibes. 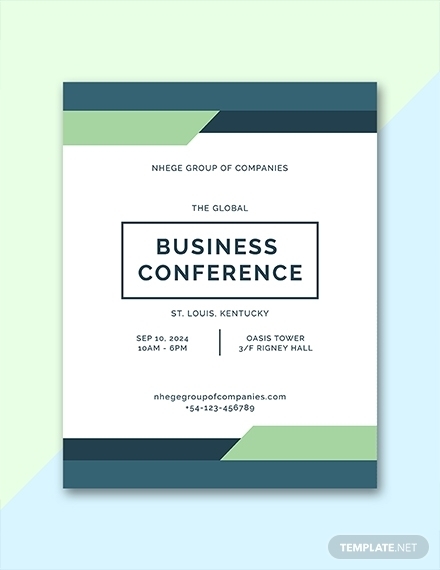 You can also include an event logo along with the logo of the company or organization in charge or managing the event. 4. Map: Although you are to provide the name of the venue or location of your event, you can still include an illustration of a map guests can refer to as guide going to your event. And although GPS is an obvious option, there may be times when it’s unreliable and not everyone has access to it. Thus, it is essential for events that take place in unfamiliar or bigger venues where guests can easily mistake one event from another. You can also provide a map where specific booths or activities can be found so that your guests can make the most out of the event. 5. FAQs section: For smaller events that take place only within a certain group, this is not necessary. However, for big events that expect a flood of people providing answers to questions guests have or may ask is always a good idea. You can provide additional details about the participation or entry fee/s, mode of payment, payment provisions and coverage, attendance process, and so on. 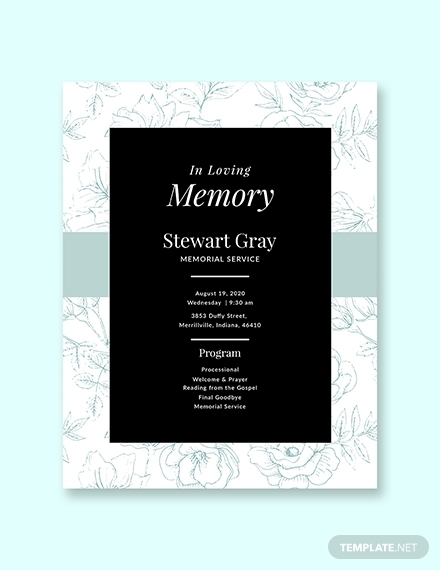 You can also check memorial program. 1. Determine type of event: Before you get ahead of yourself in creating a program, you need to determine what type of event you are going to conduct. There are a bunch of types of events, and knowing what type you are about to do will help you tailor your program to what necessary activities and sequence. An event can be a conference, seminar, retreats, musicals, and so on. For example, if you are to conduct a training event, the training program you will make should serve as an effective guide on how you can efficiently train the participants on a specific field, e.g. writing, speaking, etc. 2. 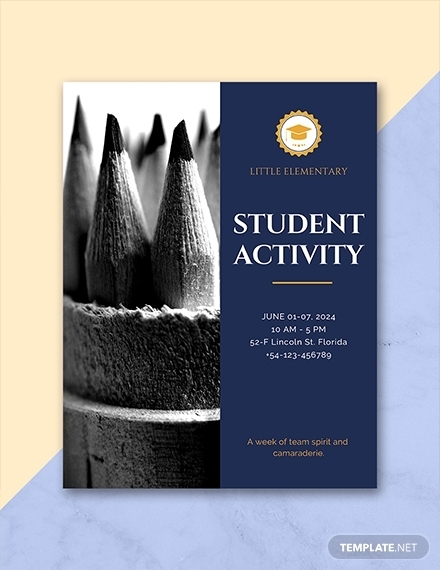 Design program cover: Most of the time, an event program will also serve as an invitation to the guests and participants. That’s why it is important to make sure that there is an aesthetically pleasing cover on your program. When designing the cover, it is important to remain on theme and on brand. For a musical event, it is obvious that the design elements you use are illustrations that relate to music. 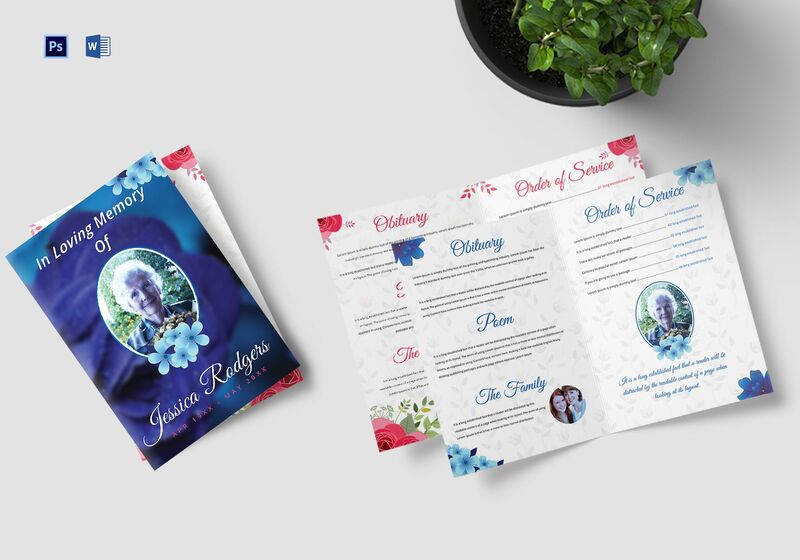 You should also include an identification that will tell readers that you are the organizer for the event, this can either be your company or organization name written boldly on the topmost part of the front page or your official logo. 3. Write program details: After that, you should immediately proceed to writing the event details on the front page. As mentioned, the event details include the official name of the event, the date, time, and venue or location. It is important that you spell these details out of the front page so that guests and participants can immediately know what the event is for, when it is to occur, where it will be held, and so on. 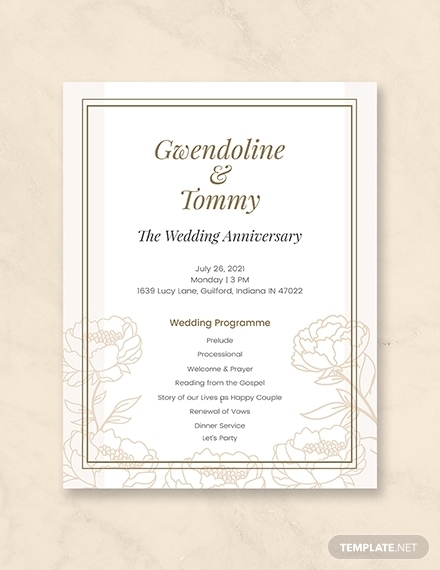 Since you have already designed your front cover, you need to choose a font style and color that complements the background and designs you have already used. 4. Identify activities: Since you already know what type of event you are to conduct, it means that you already have an idea on its purpose as well. In this case, you need to identify the activities for the event to help you achieve the purpose and objective you have set. 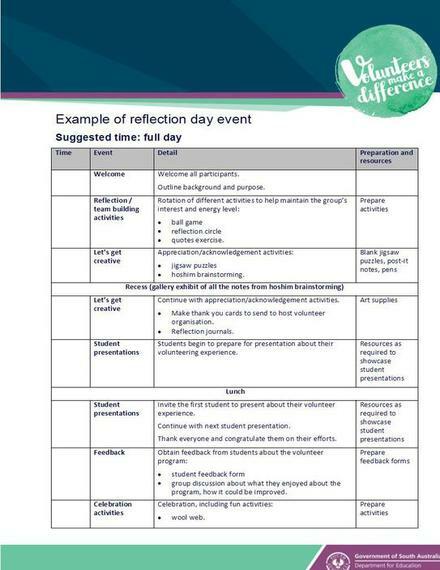 Remember that the activities you include should be related to the event. In addition, it should also give great benefit to the guests and participants. For example, in a debate seminar, all activities should relate to debating and how to be a better debater. If an event is paid, it is important that you make the activities worth it. 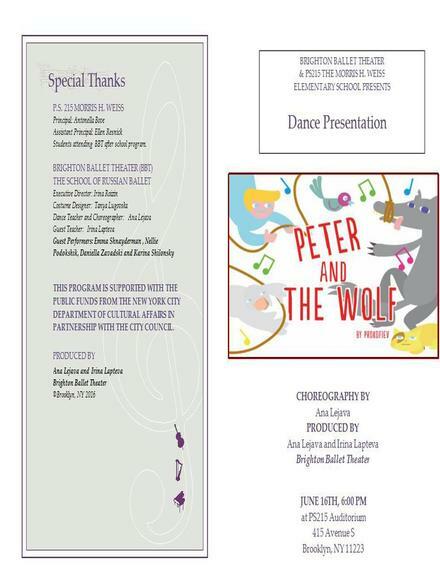 You may also see program examples. 5. 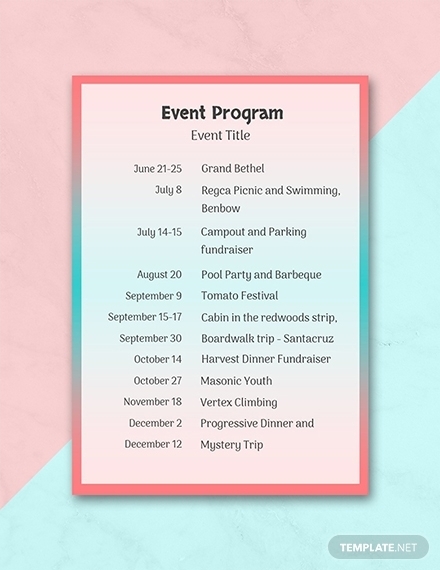 Plot program timeline: Since a program will also serve as a guide, you need to carefully plot the timeline for each activity. You need to make sure that you stay on the right schedule, this means that you need to be keen in allotting ample amount of time per activity so that guests and participants get the most out of and enjoy your event. 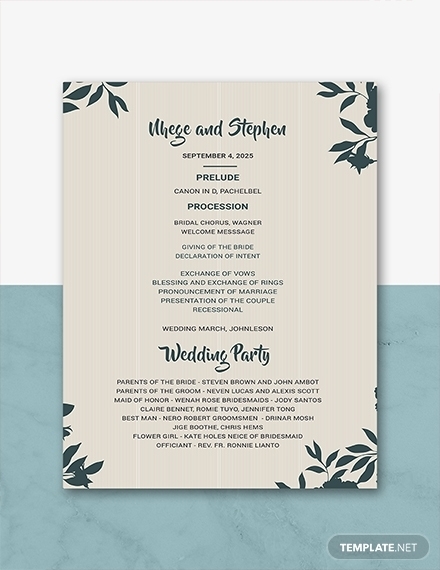 In addition, outlining the timeline for your program ensures that you get the most out of your day and rent on the venue. Make sure you leave enough time for breaks and prepare for inconveniences when setting the timeline. 6. 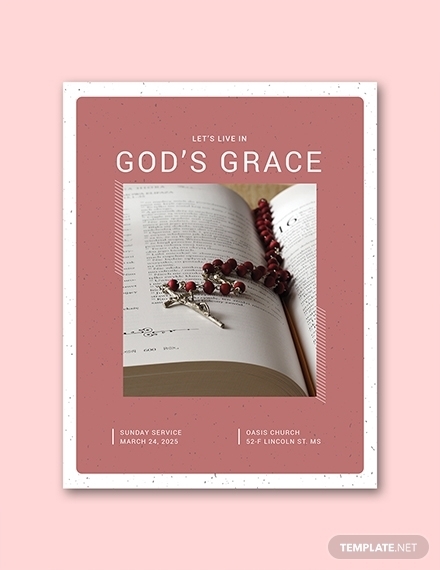 Proofread and edit: Before you start printing a bunch of copies of the program, make sure that there are no errors and mistakes. You need to make sure that you indicated the correct details for the event, ensure that there are no lapses with the timeline, and so on. Remember that the success of your event will depend on how you scheduled everything, so make sure there that the program is flawless. Consider what your target audience prefers from the design to the fonts down to the sequence of activities. Make your program visually creative. Provide enough pertinent details and information about the event. Maintain coherence and smooth flow for all the activities. Make it readable to a wide range of audience. Use good quality paper and high quality images. Always proofread and edit before printing and distribution. A program can come in various size and shapes. Some make their programs unique by using other materials aside from ordinary paper, and some use unique shapes. This means that there is no right or wrong size for it; what matters it that its contents remain readable. But in a professional or corporate setting, there is a need to remain professional that’s why it is still best to use an 8.5 × 11 inches paper. 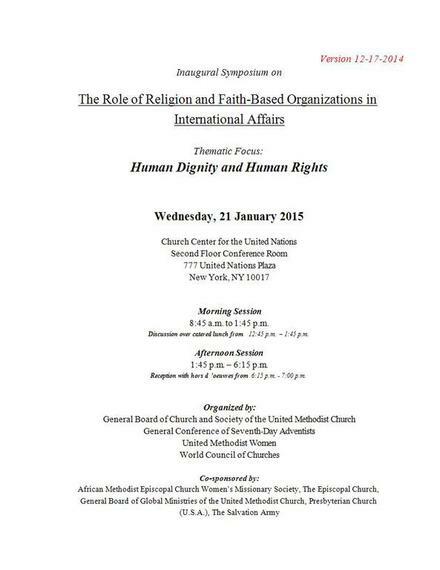 You may also see program agenda examples. Is an event program necessary? 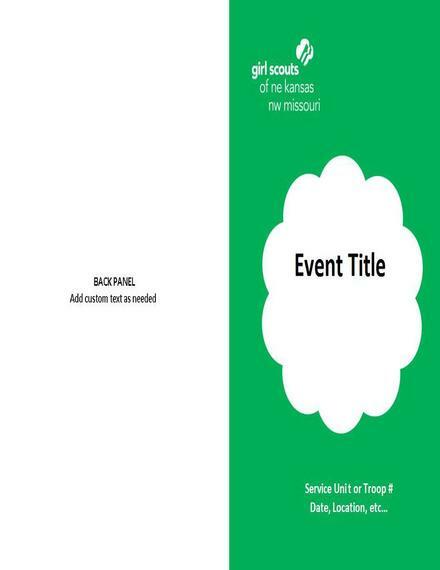 Yes, it is very necessary to have a program for any event so that you have a guide on what the event or day will be like. It will serve as a schedule and a guide so that you and all the guests and participants are aware of the order of activities. This will help avoid confusion as to the flow of the event and help avoid chaos once the event begins since everyone has knowledge on what to do and what is about to happen. What are the benefits of using a program? Using a guide means that there is an awareness to the overall flow of the event. It also helps with the organization of activities as well as of the guests and participants. 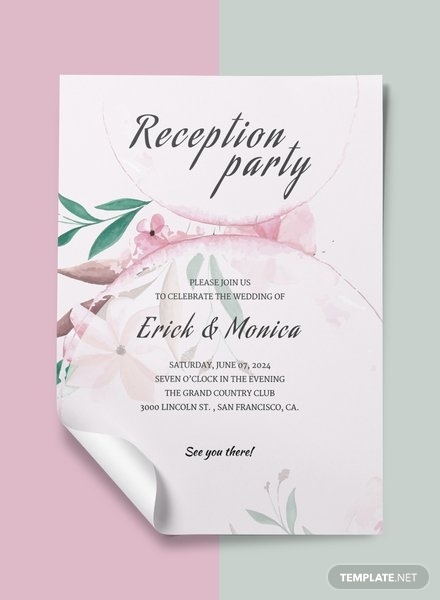 Moreover, a program will also help everyone prepare for their parts that will lead to a smooth flowing event.